It may have started with hours poring through that shoebox in the attic, stuffed with old photos and fragile, yellowed records documenting the births, marriages and deaths of previous generations. Perhaps your journey included genealogical expeditions using tools like ancestry.com or familyresearch.org to unearth surprising bits of family history that help you better understand who you are. Or maybe you simply enjoy the warm feeling you get swapping "the old stories” at family gatherings. Regardless of what brought you here, it’s pretty clear: you are the family historian. The logical first step is to consider how best to share your family’s story with others. You could simply break out the shoebox at your next family gathering. But there’s a new wave of digital tools that can make it easy, fun, and fulfilling to really bring the stories behind your memories to life. Going digital makes sense for a family historian like you. Physical records and photos can take up a lot of space. They are often fragile, and best suited to be viewed and shared sparingly. Digital files are simple to organize and share; they can be easily edited, allowing you to add new information you uncover along the way that can help personalize and humanize your information; new cloud-based technologies can securely store vast amounts of your memories out of harm’s way. Even if you’re a certified technophobe, the latest generation of tools are surprisingly easy to use, and surprisingly affordable. 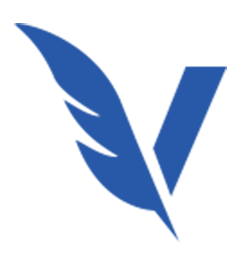 Organize and securely store treasured photos, video, audio, or your own written words. Use our scheduler to share your story with the right audience, at just the right time that you choose in the future — next week, next year, or far into the future. Use our tools and guides for ideas and inspiration on crafting messages that perfectly capture the meaning behind your most heartfelt memories. 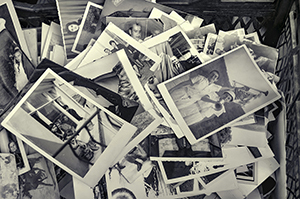 Pick 3 favorite photos or other files that represent meaningful moments from your family's history. Add your own personalized message or description and decide whom you’d like to share them with. Then share your story by having it delivered a moment you choose … and see what happens!